Some 24,365 cars were sold in June, up 5 percent from last month, the Vietnam Automobile Manufacturers’ Association (VAMA) said in a recent report. Of the sum, 14,179 units were passenger cars, up 10 percent month-on-month; 9,137 units were commercial vehicles, up 1.5 percent; and 1,049 units were special-purpose vehicles, down 20 percent. The June sales of completely-built units (CBU) were 7,085, an increase of 8 percent against May, while 17,280 complete knock down units (CKD) were sold last month, up 4 percent. 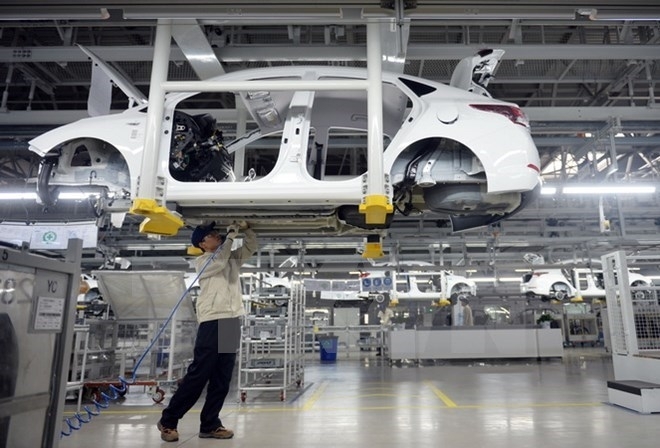 Domestic manufacturer Truong Hai Auto Corporation (Thaco) led VAMA members with 7,266 units sold in June, 31.9 percent of the country’s market share. 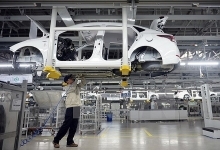 Thaco was followed by Toyota Vietnam with 6,815 units and 30 percent of the market share and Ford Vietnam with 2,428 units and 10.7 percent. Total automobile sales in the first six months of 2017 dropped 1 percent from the same period last year to 134,273 units, with special-purpose and commercial vehicles down 18 and 9 percent. The number of CBUs sold expanded 15 percent while CKDs slid 6 percent. The market is expected to see little chance of strong growth during the last half of the year, with consumers waiting for tariffs on cars to fall in 2018.